Shri Ram Murti Smarak Institute of Medical Sciences has most modern 950 bed, centrally air-conditioned, Multi Super Speciality, Tertiary Care and a Trauma Hospital established on 4th July' 2002. The Hospital has 600 teaching beds for teaching and training of students pursuing their MBBS Programme. The treatment of the patients on these beds is done free of cost. The Hospital is well equipped with facilities to provide quality teaching & training to the students in various departments. Students during their clinical training are exposed to variety of patients so as to make them competents in the field of medicine. During their training students are also exposed to behavioural & managerial skills required in todays world for becoming a complete medical practitioner. The institute when established and till date is the only medical center with widest range of medical specialities providing quality medical care in the region under one roof. Since inception the vision of the institute has been to provide world class medical facilities to the patients requiring clinical and diagnostic support. The institute has well established and full strength Pre Clinical, Para Clinical and Clinical departments having experienced and qualified doctors and staff. In addition to these departments of Radiotherapy, Cardiac Sciences, Renal Sciences, Neuro Sciences and Plastic Surgery are fully functional. These departments cater to high number of footfall of around 1200 patients in OPD every day and have inward occupancy of 85% to 90%. Every month more than 200 Cardiac interventional procedures, more than 400 dialysis, more than 50 Radiotherapies and more than 600 major surgeries in various surgical departments are being performed. The institute in ten years of its establishment has grown multifold in terms of facilities, expertise and medical education. 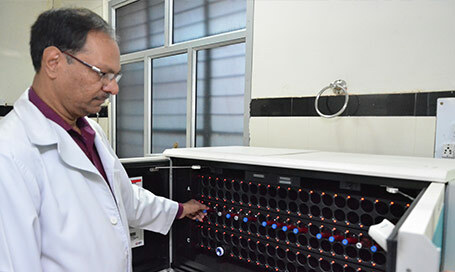 It is the only medical college among the self-funded ones to house one the best medical technologies available in the country for diagnosis and intervention. Among them are 3.0 Tesla MRI, High Energy Linear Accelerator, Bracy-Therapy Unit, Modular Operation Theaters, Harmonic Scalpel, Cath Lab for Coronary Angiograhy, Angioplasty and other cardiac interventions, Video Endoscope and Bronchoscope, Fundus Camera for retina angiography, Arthoscopy of joints, state-of-art critical care equipments, High End Microscope 3 Chip Cameras for surgeries, Lithotripsy, 4D latest Color Dopplers and others. The hospital is proud to have trust of the society for providing quality medical care to the patients coming from Bareilly District, nearby districts in a radius of 250 kms, adjoining state Uttarakhand and adjoining International border of Nepal. 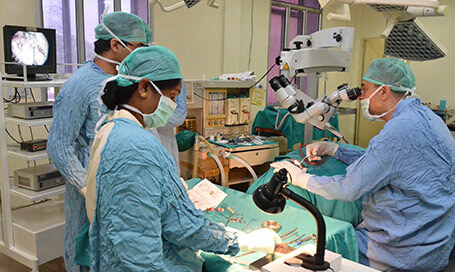 The hospital is running various programmes of National Rural Health Mission (NRHM) like Free Cataract Surgery Programme under DBCS, Free deliveries under Saubhagyawati Matratva Suraksha Yojna, Tuberculosis Programme under RNTCP, Leprosy Programme, Child Immunization Programme, Family Planning Programme and others. The hospital actively participates in cause for Polio eradication.